K.R. Mangalam World School, G.K-II aims to develop in students the value of personal integrity and skills to demonstrate helpfulness and respect for others. In pursuit of the same, the students and teachers of K.R. 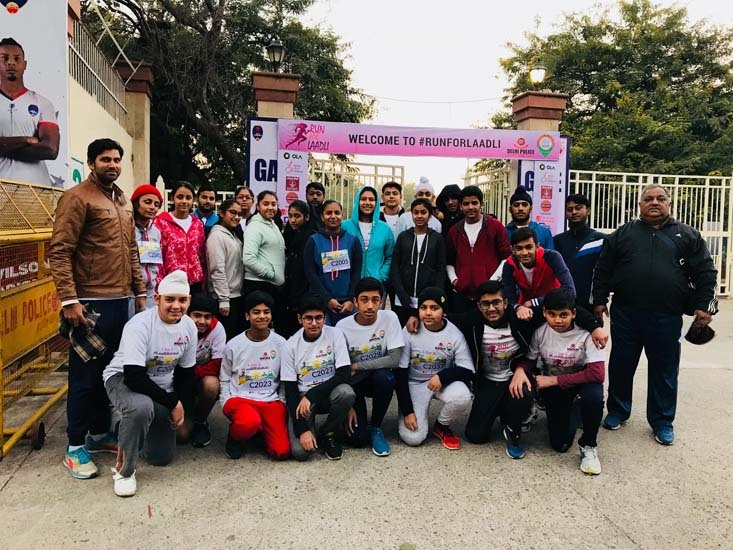 Mangalam World School, G.K-II participated in a unique Half-Marathon named “RUN for LAADLI”, an initiative of Delhi Police and Ladli Foundation Trust to spread awareness about gender equality and the need to abolish crimes against women. The students also administered a pledge to raise their concern against domestic violence and other deplorable crimes against women. The event was an effort to involve and inspire our youth to oppose any act of injustice against women and to espouse concern for gender equality. The Principal, Ms Alka Awasthi congratulated the students and teachers for joining the noble cause.